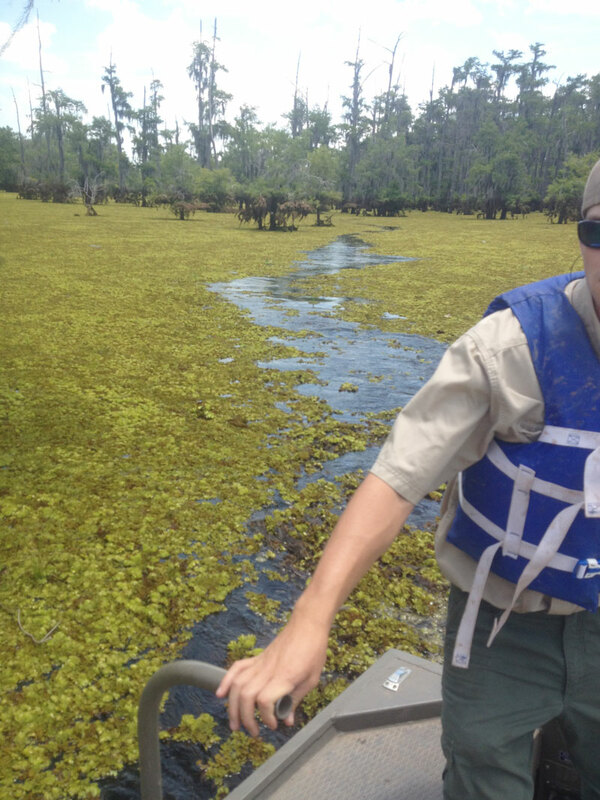 Pelahatchie Bay on Ross Barnett Reservoir remains off-limits as the lake’s oversight agency, the Pearl River Valley Water Supply District, battles a 2018 outbreak of the invasive plant giant salvinia. The bay was closed to all boating Nov. 1. All boat ramps were closed, and boat traffic stopped between the bay and the main lake at the Northshore Parkway Bridge. It remains closed. Lake officials are waiting until the spring green-up to determine when it can safely reopen the bay. PRVWSD was hoping to have at least a partial reopening on April 1, but that seems doubtful it would be that early. The reservoir’s level was lowered 2 feet this winter to expose as much of the salvinia as possible. 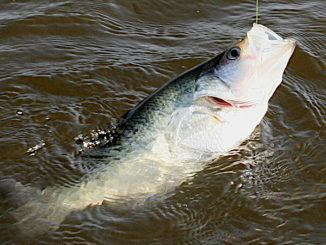 Removing it from water and exposing it to cold weather was a key part of the eradication effort, combined with intensive spraying and containment work by the MDWFP. “Our goal is to open the bay as soon as possible to our users,” Sigman said. “We know how important that is to our leaseholders, area businesses and the general public, but we can’t risk another outbreak. We’re not sure what or when the reopening plan will be, but it is likely that it will just be a partial reopening. I know that the north-shore area where the salvinia was contained is likely to stay closed, and I doubt we’ll open access at the bridge to the main lake right away. PRVWSD will begin raising the pool back toward the operational range of 297.0 to 297.5 at some point this spring, as rainfall allows. 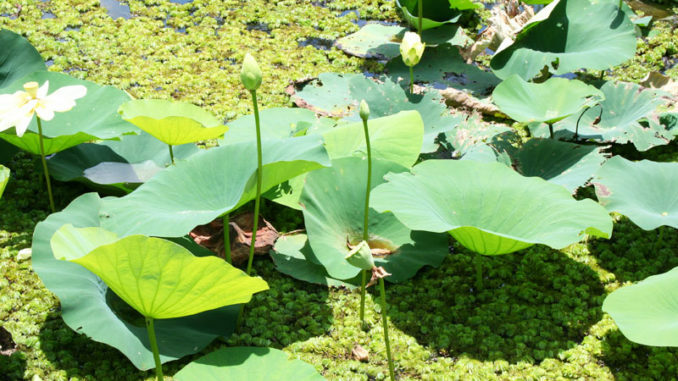 Officials at the Mississippi Department of Wildlife, Fisheries, and Parks in March announced that the invasive plant giant salvinia has been positively identified in several lakes in addition to Barnett Reservoir. The MDWFP said it found the plant at the Aliceville, Aberdeen, Columbus and Bay Springs lakes of the Tenn-Tom Waterway, Pickwick Lake and the Pascagoula River marsh. 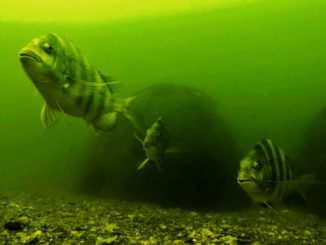 In addition, the U.S. Forest Service reported that it found an outbreak on the upper end of Lake Okhissa in the Homochitto National Forest near Bude. 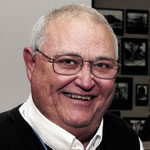 “Since this plant has been found in several lakes at boat ramp sites, we believe that boaters are accidentally introducing it as it washes off their boat trailers,” said Dennis Riecke, a fisheries biologist with MDWFP. “This is a very serious situation, because once aquatic invasive species are released into our natural waters, they are very difficult and expensive to control.